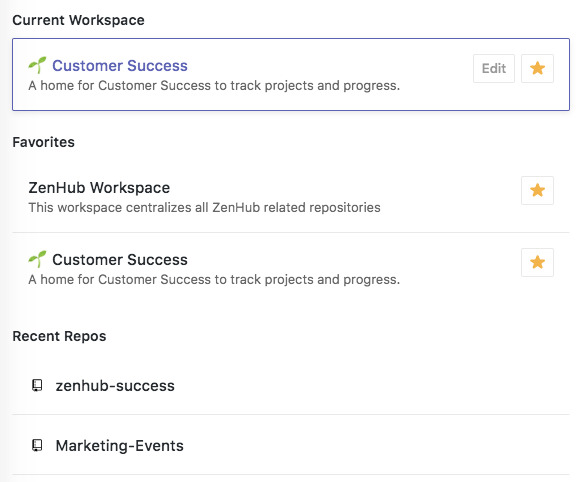 Highlights of new features launched at ZenHub over the month of September. Bug fix Organization avatars will no longer stretch when being viewed via GitHub. New The introducion of Workspaces and naming your Boards! New In addition to naming and adding descriptions to Workspaces, when working in a multi-repo Workspace, there's now a default setting for Issue creation. 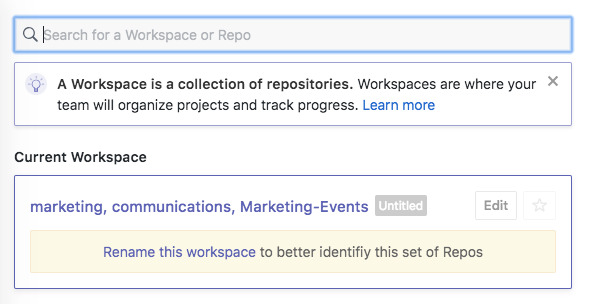 When creating Issues, regardless of which repo you use to enter the Workspace, New Issues will be created in the default repo set for the Workspace. UI Enhancement Long Issue names no longer break tooltips on the Burndown Chart. They'll properly display in front of the chart, and word wrap. Bug fix All buttons across the Release report and Burndown have consistent styles. Bug fix Double clicking the New Issue button will no longer create duplicate Issues. Bug fix Pipeline names are back on the Issue list in the Burndown chart. Bug fix The Epic badge now displays on Epics in the web app. Bug fix When ZenHub cannot be loaded, there is now an error page on any ZenHub page, not just the Boards. Bug fix Using Enter on the Epic dropdown will now select the Epic, closing the dropdown at the same time. Bug fix Long pipeline names no longer will run off the side pages and modals. They properly word-break and text wrap. Bug fix Buttons in the extension for individuals using Firefox are now consistent with GitHub. Bug fix When the Board settings were toggled on to show Open Issues or Pull Requests, filtering by ANY will no longer break your filter search. Bug fix Milestone filters now properly filter the Board with both ANY and ALL settings.